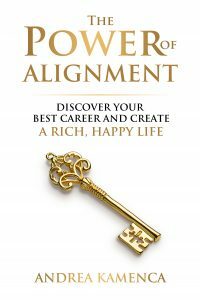 The Power of Alignment is a brief, compelling, readable story about a young woman who learns about the five keys to discovering her best career and creating a life she loves. Written in the parable style similar to Ken Blanchard, Richard Bach, and Patrick Lencioni, the young woman meets Mr. G and four other individuals from a variety of backgrounds who teach her how to forge a new successful path that balances a fulfilling career and personal happiness. You will take the young woman’s journey with her as she learns about flow, action, powerful choices, and the importance of authenticity. With exercises at the end of each chapter, the book is not only an enjoyable story but also a valuable tool. Written to inspire as well as guide, this memorable book includes powerful quotes and colorful, relatable characters. By the book’s end, the reader will know how to apply the keys to his or her own life and create a life worth living! Enjoy this highly anticipated book by an international selling author. I have been writing my entire life. My dream has been to write books that help people. As I have continued to write, I believed that my varied and extensive experience in business, academia, and non-profit organizations can benefit others. Many people have come to me to ask about career advice. This book synthesizes my experiences in a simple tale. “Today will be your last day of work,” said the manager. The young woman’s face turned white. “Oh, you’re not being fired. You’re being laid off,” he answered. “But, what’s the difference?” she asked. “You didn’t do anything wrong. This is purely a business decision,” he answered, continuing, “if you were being fired, we wouldn’t be able to give you a reference but in this case, we will. And, of course outplacement services.” He ended, sounding triumphant. The young woman swallowed hard. “But, what about my glowing performance review? What about all of the extra hours I worked? What about the promise of promotion?” she asked. The young woman left the office, stunned. If she were truly honest with herself, she was not that happy in her life. Nothing had felt quite right for some time. She was always at work. When she wasn’t at work, she was always thinking about work. With today’s news, perhaps she had some time to figure it all out. She went home, hugged Jax, her cat, and had a good cry. After watching too many hours of television, drinking too many bottles of wine, and feeling sorry for herself, she decided to go on a quest. This would be a quest to determine her life’s path. She needed a way to create what some people call balance, others harmony, but it was more than that. She needed to find a way to develop a life’s path that was all in sync, somehow. She knew she didn’t want to work all the time, but she also couldn’t go on like the last bit of time, either. How could she develop a life that she loved? Maybe if she found someone who had created a great life, he or she could give her some advice. Perhaps she could develop a friendship with someone who knew what she wanted, was successful, and loved his or her life. She decided to travel. She had travelled before now but somehow her search had been somewhat half-hearted. School and her journeys had offered the opportunity to find a balanced, authentic, successful person who could serve as a mentor and a friend but she hadn’t been receptive, thinking that solid education, strategic thinking, and hard work would be enough to launch her career. She just knew that she could be a superstar, if only she tried hard enough. As she travelled, this time, she spoke with many types of people: artists, administrators, professionals, and musicians. She spoke with people who worked for themselves. She had spoken to people who worked for others. She had discussions with monks, nuns, and priests; with teachers, professors, and regents. She spoke with military members and first responders. She talked with people who were unionized and independent. She had discussions with utility employees, truckers, and actors. She visited many types of workplaces. She saw hip Silicon Valley offices, organic farms, artists’ lofts, and corporate cubicles. She went to truck stops, churches, synagogues, and community centers. She saw how people work, how they managed their lives, and whether or not they were happy. She saw many “successful” people whose lives were consumed with work yet their personal lives were non-existent. Some of their peers grudgingly acknowledged their success. Their answers were all quite similar. They sounded proud and dedicated to their success, yet also a bit fatigued.